US welcomes court's decision to certify Tshisekedi as DRC president - SABC News - Breaking news, special reports, world, business, sport coverage of all South African current events. Africa's news leader. 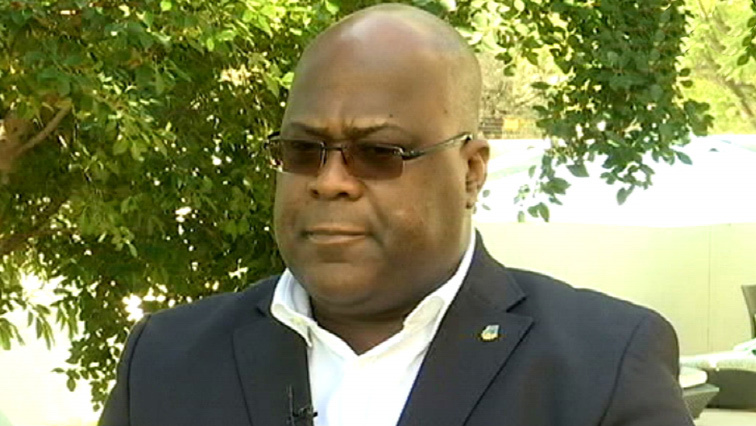 DRC President-elect Felix Tshisekedi was declared the winner of the 30 December elections. The United States has welcomed the decision by the Constitutional Court in the DRC to certify Felix Tshisekedi as the next President of the Democratic Republic of Congo. A statement released by the State Department says they’re committed to working with the new DRC government and encourages it to include a broad representation of Congo’s political stakeholders and to address reports of electoral irregularities. The statement continues saying the United States salutes the people of the DRC for their insistence on a peaceful and democratic transfer of power while it recognizes outgoing President Joseph Kabila’s commitment to becoming the first President in DRC history to cede power peacefully through an electoral process. The announcement of support for the transition from Washington will come as a blow to the other opposition presidential hopeful Martin Fayulu who claims to have been cheated out of victory through an electoral coup, hoping for international support to bolster his position. Felix Tshisekedi is expected to be inaugurated Thursday. This entry was posted on 23 Jan 2019,09:05PM at 9:05 PM and is filed under Africa, Homepage Latest Stories Slider. You can follow any responses to this entry through the RSS 2.0 feed. Both comments and pings are currently closed.